The Great American Cleanup is an opportunity to transform your neighborhood and community into beautiful, healthy spaces. Beautiful places are environmentally healthy, socially connected and economically sound. They’re better places to raise families, start a business or go to school. 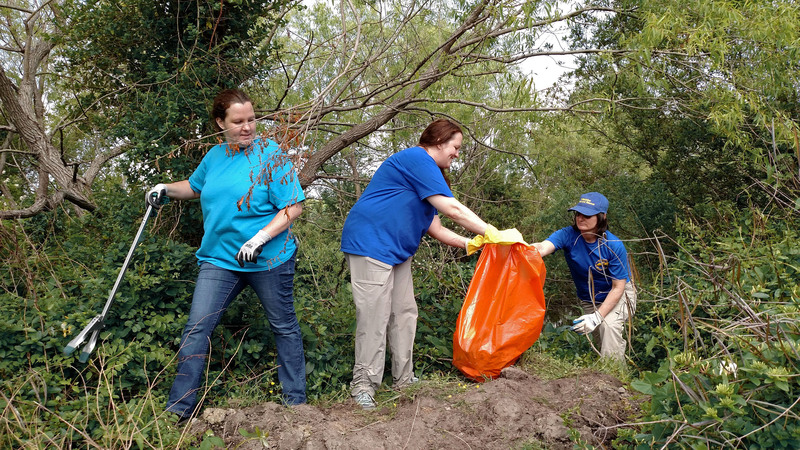 Cleanup events are planned across Hampton Roads this spring, with a two-day National Kickoff planned for May 3-4, 2019 in partnership with Keep Virginia Beautiful. The event will mobilize hundreds of volunteers and corporate sponsors to transform local parks, waterways, and neighborhoods across Hampton Roads for a cleaner, greener environment. We hope everyone will pick a project and get involved! When: Cleanup events will take place Friday, May 3 and Saturday, May 4. There will be pre-planned events that you can join or you can lead cleanup efforts in a spot you nominate from your community with the support of your local Clean Community Coordinator. Cleanup events on Friday will primarily focus on local business and military volunteers. Who: Everyone has a role to play in keeping Hampton Roads beautiful. From individuals to families, school groups to civic organizations, small businesses to large corporations. YOU can make a difference for your community. How: Simply complete the form below to become a volunteer or sponsor. Volunteers will be connected with a Team Up 2 Clean Up project in a city or county of their choosing or invited to start their own community project with assistance from the local Clean Community Coordinator. Sponsorships are available at differing dollar amounts to help support clean communities in Hampton Roads and across the state. Proceeds will benefit Keep Virginia Beautiful and litter prevention efforts in Hampton Roads. Questions about sponsorship? Send questions to Mike Baum, Executive Director of Keep Virginia Beautiful, at mbaum@keepvirginiabeautiful.org. Join askHRgreen.org as we clean up Hampton Roads this spring! We will make every effort to match you with a project of your preference. Would you like to nominate an area for cleanup/beautification? Sign me up to receive the askHRgreen eNewsletter.